The LS60THaDS60 could be used only with the internal H-alpha filter at <0.75 Angstrom, or together with the front mounted external H-alpha filter at <0.55 Angstrom bandwidth, at a free aperture of 60mm. Complete H-alpha Solar Telescope with 152mm aperture and <0.7 Angstrom bandwidth. With Feather-Touch focuser, advanced air-pressure tuning system, and B1800 Blocking Filter. The large LS152THa is sure to provide a professional balance of resolution and performance! 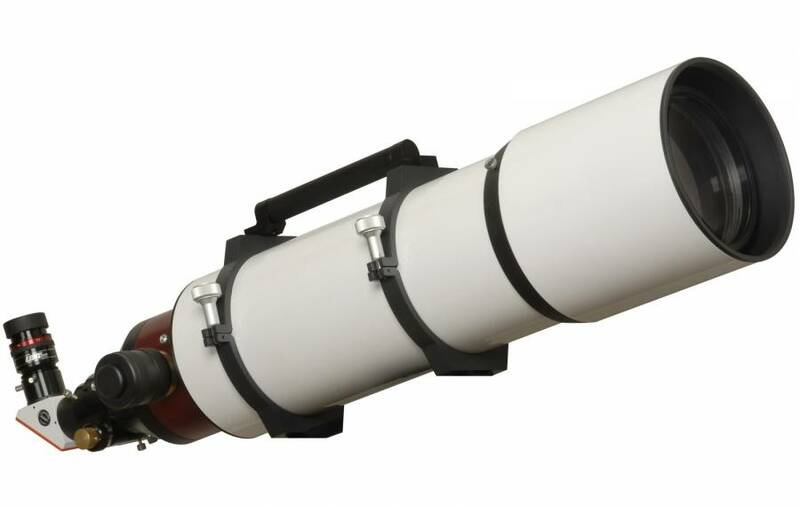 The LS152THa/B1800 is a complete telescope for observing the sun in H-alpha, a precision aligned refractor with 152mm aperture (no central obstruction) and 900mm focal length. This large solar telescope is perfect for the ambitious solar observer! If it's a perfect image you're after, the LS152THa provides a very large and high resolution image size. The 100% unobstructed system will perform to the highest level at both low and high magnifications. Utilizing both advanced hi-contrast coatings, and the advanced Doppler True Pressure Tuning system, the user will be able to experience crisp, sharp, high magnification visual images, as well as utilize this system for high end digital imaging processes. An internal Etalon with advanced air-pressure tuning system “Pressure-Tuner” provides <0.7 Angstrom bandwidth. This “Pressure Tuner” system allows a more accurate Etalon adjustment than other systems. The “Pressure-Tuner” system adapted the Etalon to varying altitudes and atmospheric pressures for always optimal performance. The Etalon is installed safely inside the telescope-tube. Fine adjustment is achieved by a 2" Starlight-Instruments Feather-Touch focuser with 1.5" travel and 10:1 reduction. Blocking-filter is the B1800. The B1800 is good for visual solar observing, and also for solar imaging by cameras with small or middle sized CCD chip. We recommend a LS152THa with B3400 blocking-filter by using cameras with very large CCD chip. Also this large LS152THa telescope is upgradeable with the additional available DSII double-stack system (article no. 0551595). The optional DSII system is a internal double stack module with "Pressure Tuner", that provides a bandwidth <0.5 Angstrom. More details on the solar surface will become visible by reducing the bandwidth. Παρακαλώ ενημερώστε με για την τιμή του προϊόντος LUNT SOLAR TELESCOPE LS152THA/B1800 H-ALPHA, με κωδικό: OPT-0551502.